From Death Valley I drove straight to Zion National Park. 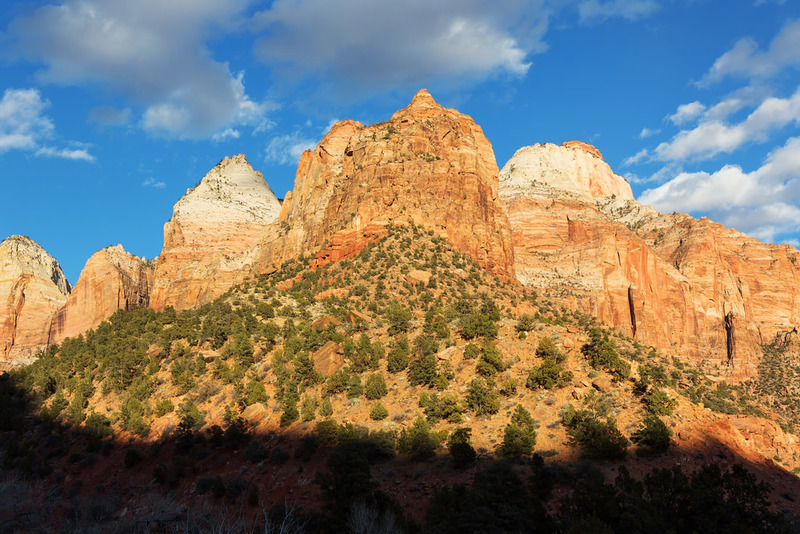 For most of the year Zion blocks private cars from the valley, but the road is open in February and I enjoyed being able to drive myself all the way to the Temple of Sinawava. 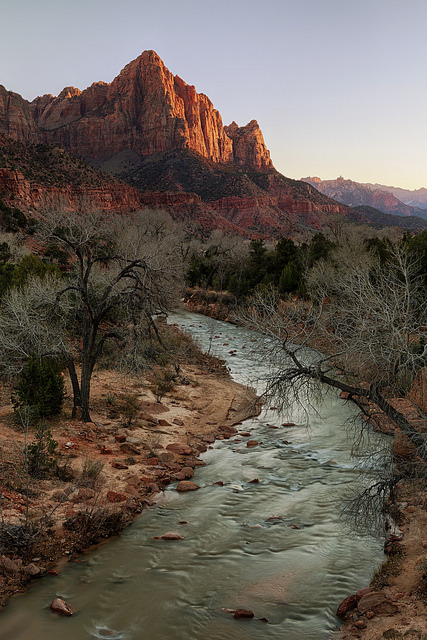 As sunset approached I set up my tripod on a bridge that overlooks a frequently-photographed view of the Virgin River with the Watchman in the background. I spent the night in Springdale, right outside the park entrance, and woke up early to watch the sun rise behind my favorite tree. It amazes me that this tree has managed to thrive over the years in such a seemingly inhospitable location, growing out of the side of a steep hill of orange sandstone like some kind of stubborn southwestern bonsai. After saying my goodbyes to Zion I made the scenic and relatively short drive to Page, Arizona. Page is special. 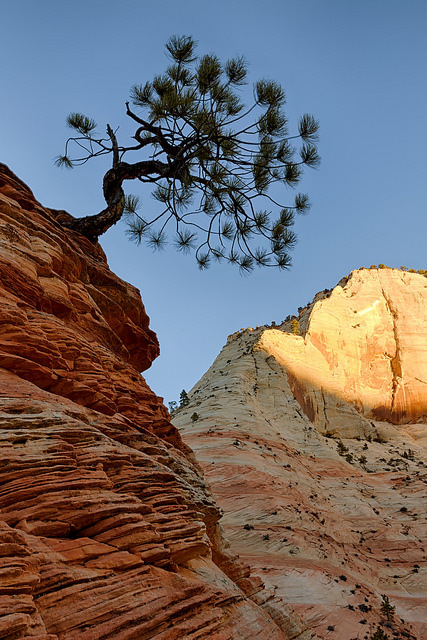 Several of the southwest’s most iconic spots are either in its backyard or within easy striking distance. 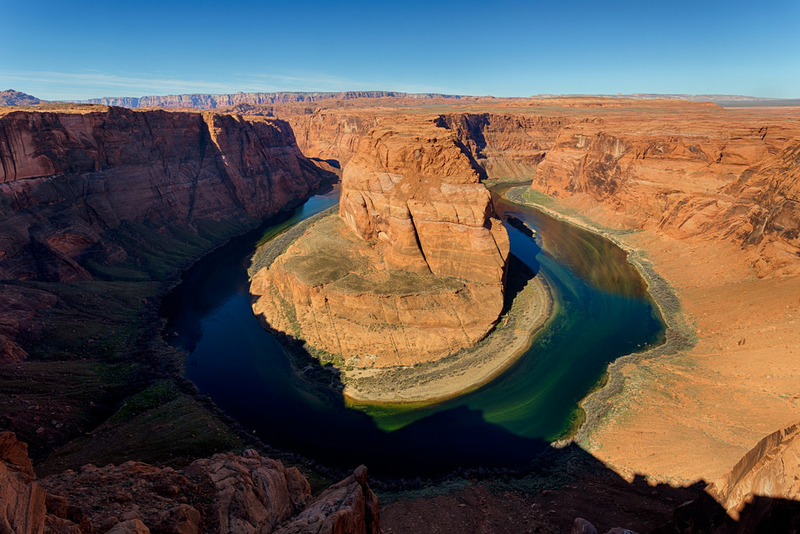 Horseshoe Bend, Antelope Canyon, and Lake Powell are all right there, and the Wave and the Grand Canyon are only a short drive away. 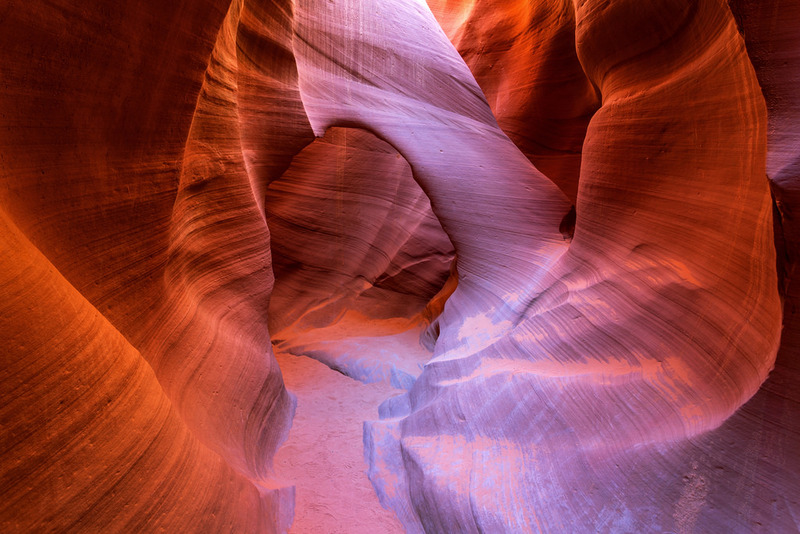 I arrived mid-morning and headed straight for Antelope Canyon, one of the most photogenic slot canyons in the world. 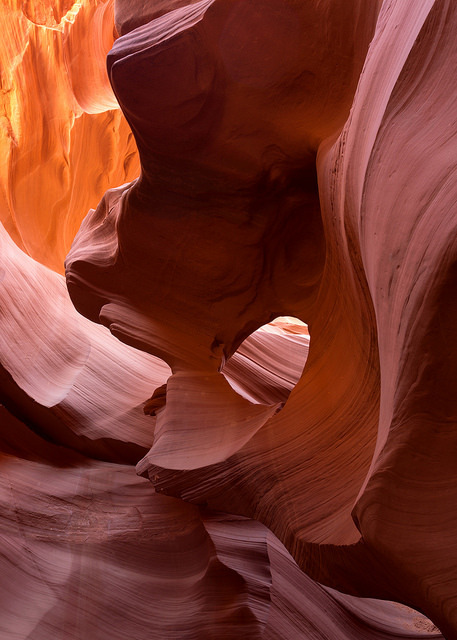 I’d been to Upper Antelope Canyon several times and thought this would be a good chance to try the lower canyon. 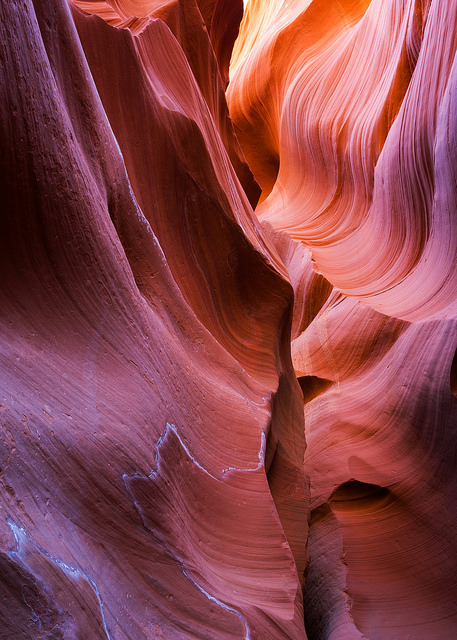 I’d only been to Lower Antelope Canyon once before and my timing had been terrible. A flash flood had temporarily filled large parts of the canyon with sediment and access was extremely limited. 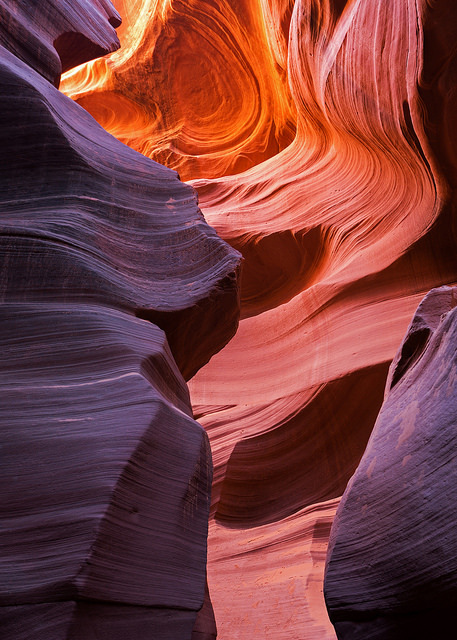 It surprised me to see that Lower Antelope Canyon now has a second Navajo tour operator, and there were far more cars at the lower canyon than the upper. In the past upper was much more popular. 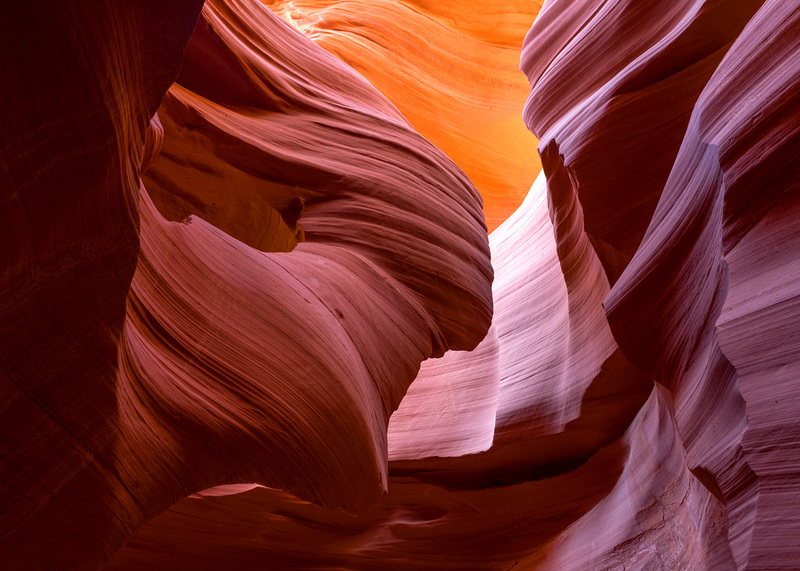 Visitors aren’t allowed to enter the canyon without a guide, and – in another somewhat recent development – they only let you take tripods if you buy a (more expensive) photo tour. The next photo tour didn’t leave for a couple of hours so I reserved my spot and then made a quick run to Horseshoe Bend. 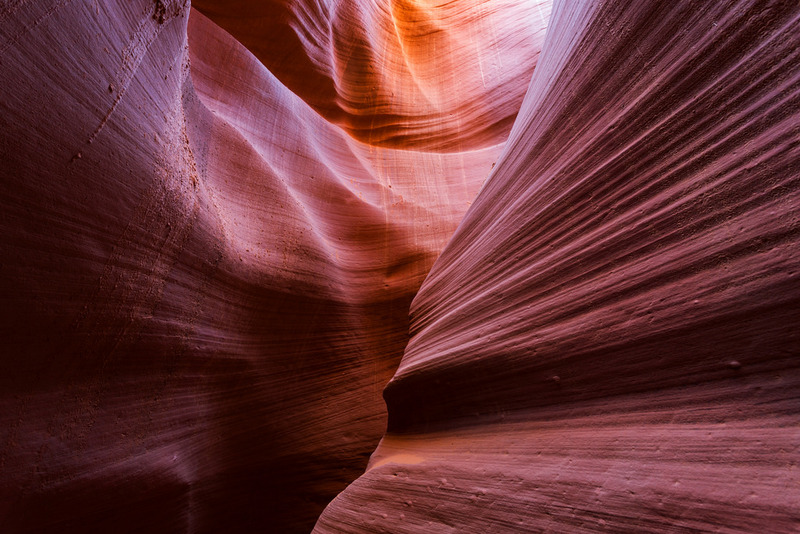 Back at Antelope Canyon I met the other people in my tour group, including Adam Schallau, a professional photographer based in Flagstaff. Adam seemed like a great guy and he was nice enough to answer a long string of questions. He said he thinks in winter the light is better in the lower canyon than the upper, which partially explains why there were more cars at lower, but that over the past couple of years the overall popularity of the lower canyon has probably eclipsed the upper. Thankfully the off-season crowds weren’t too bad, and the five other photographers in my group were very considerate about giving each other space. I really enjoyed seeing the parts of the lower canyon I’d missed during my first visit, including the iconic “Lady in the Wind” arch. What an amazing place. Two hours later we climbed out of the canyon and back into the bright afternoon light of the real world.